This large, elegant jug with beaded borders has a partially fluted body, applied with laurel swags, headed by flower heads. The spreading circular foot with acanthus leaves is placed on a square base. The scroll handle is applied with a sequence of beads in seizes. Martinus Logerath, who worked as a silversmith from 1767-1814, specialized in large silverware. He was born in The Hague in 1733 as son of silversmith Johannes Logerath and Johanna Wilhelmina Buys. His brother Johannes Hermanus, also a silversmith, remained active in The Hague, whereas Martinus established his workshop in Amsterdam. From 1786 he had a workshop at Egelantiersgracht. It is known that he also worked for Willem Diemont, a retailer in Amsterdam. In 1814 he seized his activities. From his marriage with Sophia Harthoorn, with whom he lived in Laurierstraat in 1767, the year he registered as a master silversmith, his two sons are known. Eduard Martinus, also a silversmith, and Johannes Hermanus, a retailer. Unfortunately, Martinus survived his son, leaving him heirless. In the year 1787 Martinus Logerath manufactured a beautiful oval silver tureen, which is also part of the collection Jacob J. Roosjen. 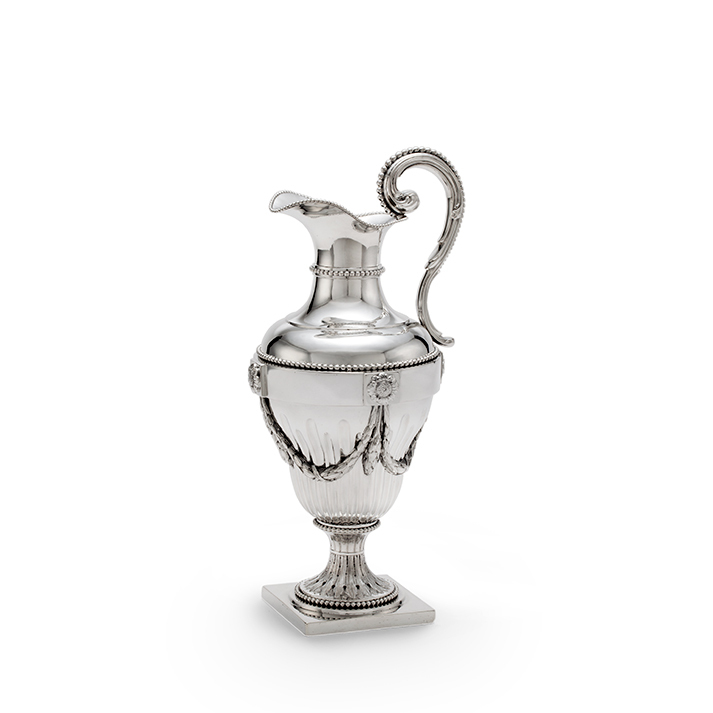 Furthermore, this collection comprises a sugar bowl by this same master, made in 1793. K.A. Citroen, Amsterdamse zilversmeden en hun merken, Amsterdam, 1975, nr. 1104. H. Vreeken, Goud en Zilver met Amsterdamse keuren, Amsterdams Historisch Museum, Zwolle, 2003, p. 452.